with the water in your basement. 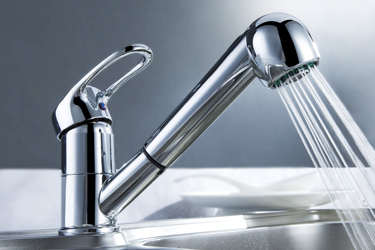 Bratschi Plumbing Company is a certified family owned plumbing services company operating in Winnetka, IL and the surrounding areas for 80 years. We are proud to be the 4th generation family-owned business living and working as experienced plumbing experts in our cherished community of Winnetka, IL. Plumbing emphasizes the core values of honesty, integrity and close relationships within our community. Our licensed, bonded plumbers individually possess, on average, 20 years of experience with Bratschi Plumbing and in the North Shore area. 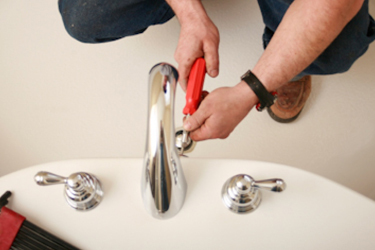 Bratschi Plumbing is insured, bonded, and licensed ensuring we provide our best services to our customers. Our business is family owned and operated in the Winnetka, IL area for over 75 years. We love being a part of a long-standing family tradition. Being bonded and licensed means we provide the best services to our neighbors and friends. The quality of our work and our products stands the test of time. Our focus on quality means that you can trust us to take care of your needs. We’re dependable, hard-working members of the community and we intend to keep our promise to that commitment. We are privileged to live and work among a value-centered community with strong ties and commitment to each other. We’re proud to have an A+ rating by the Better Business Bureau. We also have great reviews on Yelp and other reputable online sources. "...I have dealt with many contractors, most of which I know to provide the best quality work and service available on the North Shore...With regard to promptness, follow through, problem solving, attitude and quality...you have surpassed all of the best contractors I have employed." "Thank you for your prompt service to my 'problem' which was solved with your help and the prompt and courteous plumber sent." "Plumber did a great job! Cleaned up and was very nice." "Great job done! Wished I used Bratschi in the first place and will use Bratschi from now on!" "One of the best in the business! 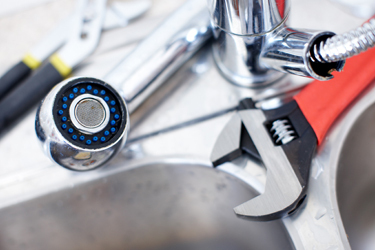 Is a plumbing problem always an easy fix? No, but,Bratschi's people know their business and always do their best to remedy the problem the first time out. They communicate what service is expected as a fix, the amount of time it will take and any other options available to you." "I've used Bratschi a couple of times. Easy to reach and schedule. One time for a sewage line clog and the other to replace a part in my basement. Reasonable pricing and very nice workers. Completed the work and kept the space clean. I have not had an issue with either jobs since their completion. Will use their services again if needed. It's always nice to find a trustworthy local company (although that is getting difficult these days)." "We've been using Bratschi since moving to Winnetka in '93. And our business, Loving Care Pet Services, has used them exclusively since 2005. Always on time and very professional. Easy firm to work with, for projects big and small." "Thank you, Bratschi, for fixing our immediate issues! I really appreciated that the plumber did not up-sell but rather gave us a plan for what needed to be fixed, when it should be updated, and why." "The plumber did a fantastic job! He diagnosed the problem, fixed it and cleaned up. I'm so thankful for the wonderful employees at Bratschi." "We're extremely happy with the sewer team and their work and investigating into the problem and solving what they did." "My husband and I were so impressed with the very professional job that was done at our house! Thank you!" "Thank you for your reliable, courteous, excellent service and friendship since 1985!" "We live in a 100 year old house and have had other plumbers out who always just want us to tear everything out and replace the antique fixtures. Bratschi was incredible at fixing and repairing all of the antique sinks and tubs in our home. They even had many of the parts in stock. I was shocked. I knew they were a little more money than the other plumber we had used but I sure feel like they knew what to do and we never have to call them back after they fix an issue."